Home > Articles > How to eat papaya? The papaya grows on trees of small height, originating in Central America (in Mexico it was called Chichihualtzapotl, “sweet fruit for nannies”) but now widespread throughout the tropical zone, especially in the Philippines where they are very popular. The fruits have an oblong shape, ranging from green to yellow to orange to pink, and although they can weigh up to 9 kg, to be marketed they cannot weigh more than 500 or 600 g.
Why should we eat Papaya? 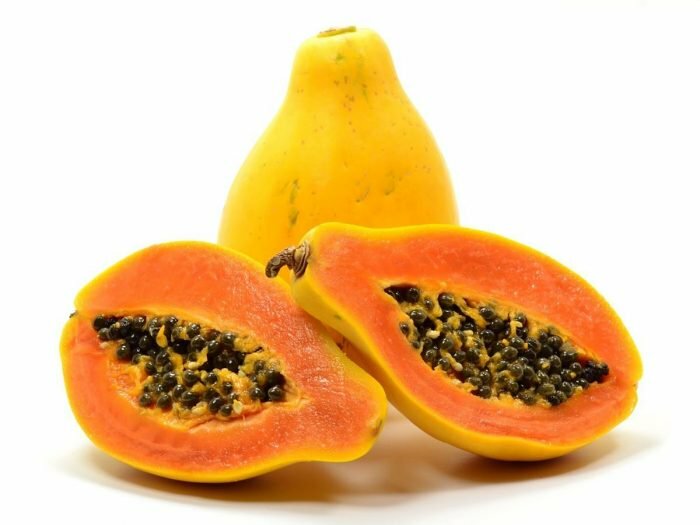 Papain is extracted from papaya, a proteolytic enzyme that promotes the digestion of proteins and therefore makes it perfect for those suffering from gastritis or digestive problems (it is advisable to eat it before meals to immediately introduce the necessary enzymes). But it’s not the only benefit that should make us eat papaya. A real vitamin mine, especially A and C, also contains fibers, antioxidants and, above all, potassium. What do we do with this long list of nutrients, you say? 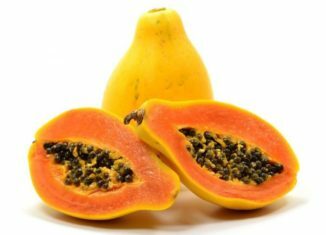 Among other things, papaya helps drain excess fluids and toxins; has an anti-inflammatory and purifying action for the body in general and for the skin in particular; thanks to the vitamin A content it is a natural protection against eye diseases. Thanks to sugars and minerals, moreover, it is an excellent energy charge, especially in times of stress. As you can see, how to eat a papaya does not have the obvious and simple answer: “peel and eat fresh”, because you could also use seeds and leaves, especially inspired by the cuisine of the countries where the papaya abounds. This tropical fruit is native to Central America but is also widespread in Asia and Africa. In these countries, in fact, seeds and leaves are also consumed, and you could take inspiration from these old culinary traditions to follow them too. As for the leaves of the plant, you can cook them like any green leafy vegetables, boiling them in salted water and consuming them as if they were spinach or chard. First of all, the papaya should be peeled (the skin is easily removed), cut in half and dug with a teaspoon to remove the black seeds. At this point, it is recommended to rinse it well and squeeze the juice of a lemon or lime on the pulp, because the citric acid enhances the taste of the fruit. If a simple fruit salad is not enough for you, do well: the possibilities of eating papaya are much more interesting than this. First of all, cut into small pieces and put in the freezer becomes the basis for superb centrifuged or smoothies. It lends itself very well, just like the pineapple, to get into any donut and tart recipe, also because its naturally sweet flavor will help you use less sugar in the preparation. But what you really should do is try eating salted papaya. In Thailand, papaya salad is very popular: thin strips of raw fruit (usually the green variety) mixed with peanuts, chili, lime, tomatoes and fish sauce. Another original idea is papaya sauce, obtained by blending the fruit together with the chili pepper. A spicy and irresistible accompaniment for any fish and meat dish.